The mobile usage is growing like anything. Nowadays, it is getting common for corporates to provide its employees the smartphones/tables for business usage. We have seen one common pattern of it in Voolsy enabled restaurants. The staff is given the tables for accepting orders however many a times they tend to use it more for other personal purposes than taking orders only. In this situation, it gets difficult for restaurant to track down what is done with every device. It is in such scenarios where we realised the need of a software which can give access to certain apps or content that are necessary for business purpose. 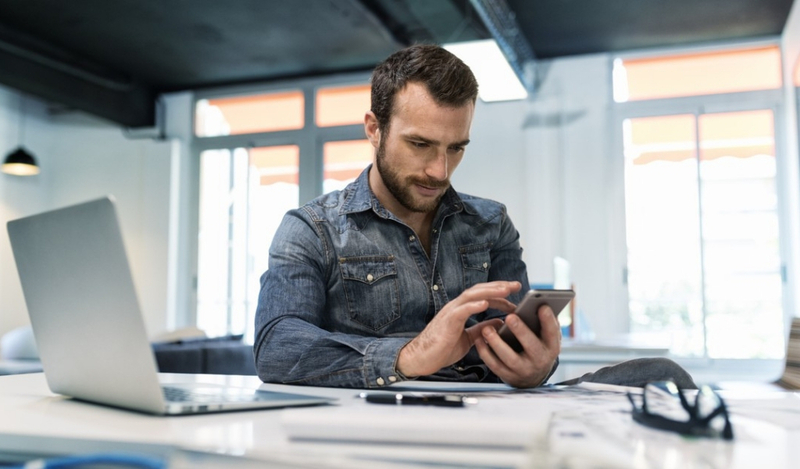 We anticipated a small window of opportunity but later on realised that this is the necessity for big enterprise mobility management than small ventures since they have more employees and it is difficult to track down the status of each device. “When I shared this concept with my team and friends, they said they would love this kind of product and we decided to go ahead with it. The need of this concept motivates me to pull up my soaks and work on it. 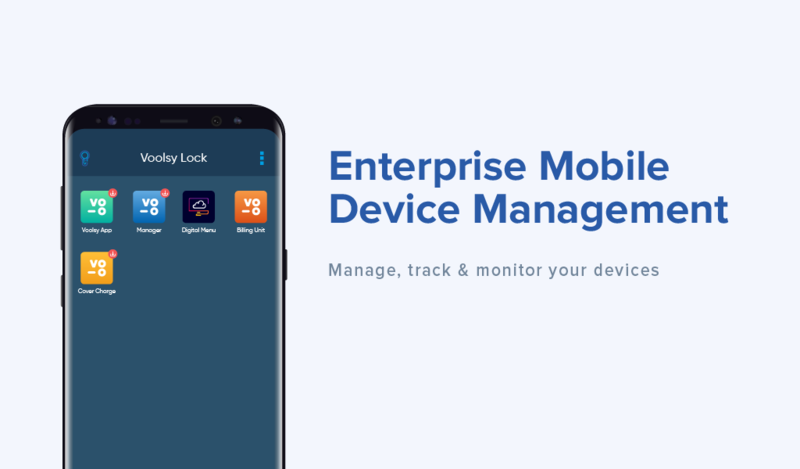 We approached with this concept to our existing Voolsy users and they easily accepted it after they realised that it will help them run their organisation smoother.” said Smit Nebhwani, CEO, Voolsy Lock. 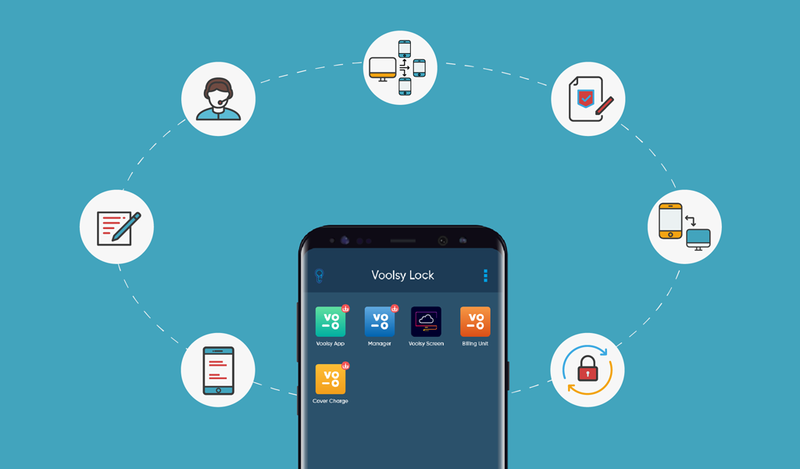 Voolsy Lock provides every details for the device like network type, IMEI number, RAM details, internal and external storage details etc. Moreover, you can track the location of the device last used. You can also gather the information like user login/logout, battery status and can even set password in order to restrict the exit from the launcher app. With Voolsy Lock admin can categorize devices into one group. Admin can remove, install and update apps directly from their system to a group of devices at one go instead of doing it for each device one by one. Admin can tailor specific settings for individual device such as Wi-Fi, mobile data, brightness, Bluetooth etc. All this can be done remotely from anywhere. With admin web console, you can view app version, details, and published/unpublished dates. Moreover, you can view app gallery and upload or remove any app from the device. You can also keep and update any app in group of devices with a single click with our robust admin panel. Find it interesting? Schedule a demo with us by mailing at godigital@voolsy.com and get one step closer to set Voolsy Lock in your organization.